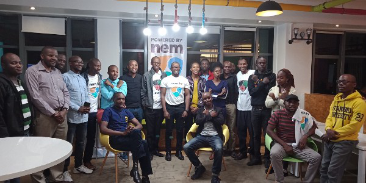 George Mosomi, co-founder of Capitally Blockchain and Senior Developer at Solo Energy together with Stanley Njenga, the Founder at Two4one App have been working hard to help in the establishment and adoption of NEM Blockchain in Kenya and Africa. This is through developing the user base by training developers and incorporating NEM in their respective Dapps. 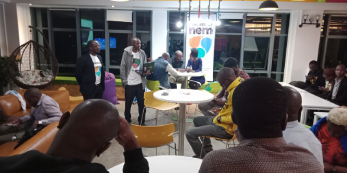 NEM Kenya has been running monthly events, and partnering in hackathons with other blockchain enthusiasts. 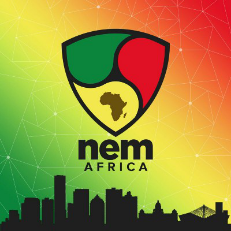 NEM has partnered with Two4one App to help in blockchain implementation in Africa. 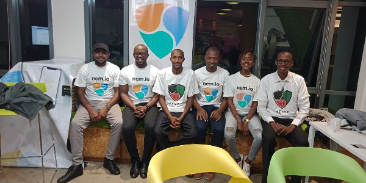 The company is hoping to be the first African NEM Blockchain project to helps businesses and organization to improve customer experience by enhancing loyalty, engagement, and user value. Two4one App Ltd aims to bridge the implementation of blockchain in Africa and the world. With a very high demand for partner listing on the DApp around the world, the company hopes to partner with Appsolutely and integrate a Loyalwallet on Two4one App available for free on Google play and App store. The creation of wealth and helping in smart assets blockchain implementation in hospitality, transport, retail, pharmaceutical, distribution, logistics, entertainment and other essential social services will be the main focus. The Two4one app leverages the tracking and distribution of assets from cross-chain applications. The NEM outreach programme is focused on both the developers and the general blockchain community. 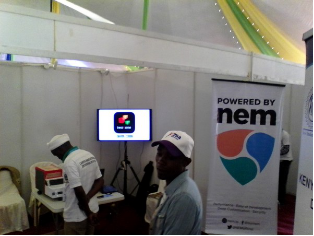 Several NEM Kenya members are active participants in NEM forums and telegram groups working to create solutions on the platform. For the community section, there have been two monthly events, focusing on creating awareness to developers and other blockchain enthusiasts. 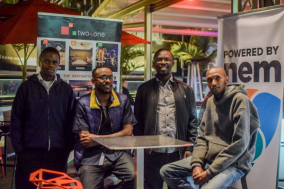 In partnership with Drink Entrepreneur, a monthly community event that bring entrepreneurs in Nairobi together, the first Kenyan NEM 101 happened on 12th April at Brew Bistro and lounge. 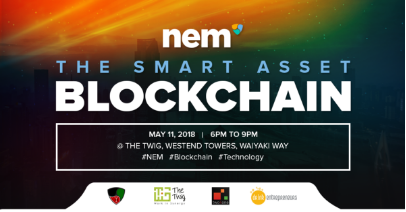 The Second NEM 101, happened on 11th May 2018 at The Twig Co working Space. This was in Partnership with Brew Bistro, Drink Entrepreneur and the Fuse catalyst. 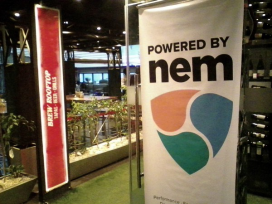 At the event current projects and the user cases that are on Nem were discussed over some cocktails. Some of the Featured projects included, Loyalcoin, Mycoininvest, ProximaX and PundiX. 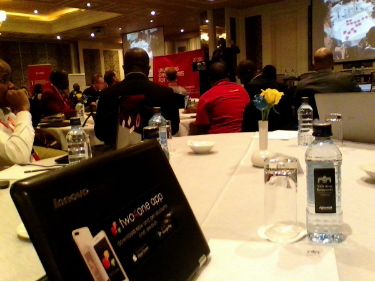 Later in the Month, Two4one App and NEM was invited to showcase in a series of events, One by Mercy Corps at Kempinski, Nairobi Kenya in a forum to discuss Unlocking opportunities for youths. 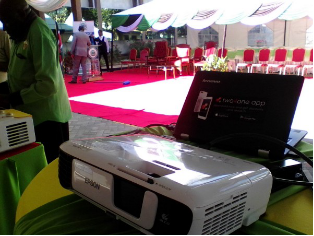 The second was Laikipia Innovation Fair by The County Government of Laikipia. 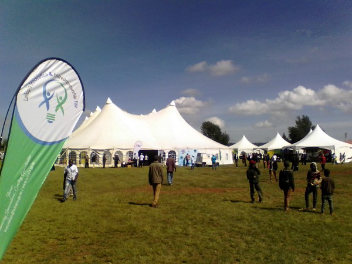 The event is a three days event that showcased 50 innovators from Laikipia County out of over 200 applied, sponsored by Laikipia Couty Government, KBC, Y-254, Chandaria Business innovation and many other government departments. The event was the first and would be a yearly event. The Governor of Laikipia, Hon. Nderitu Muriithi appreciated the project and considered how much it would help in Fast, convenient, verifiable and reliable platform if adopted by the Government in helping it to execute its projects. An Example would be in distribution of Government subsidies like fertilizer to farmers. Each Farmer would have his or her profile and would receive vouchers that only specific farmer can retrieve the subsidy. This would reduce the loss involved in distribution and help the country to increase its aggregate efficiency. 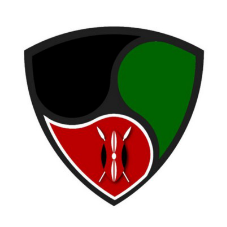 Two4one App is considering establishing offices at the Counties. 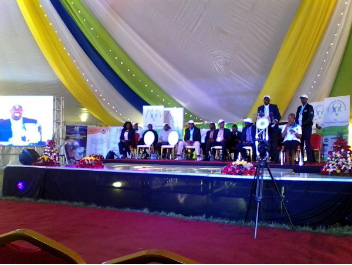 This is to help in its expansion and contribution to development of local talent in technology and entrepreneurship in the country in partnership with the county governments. 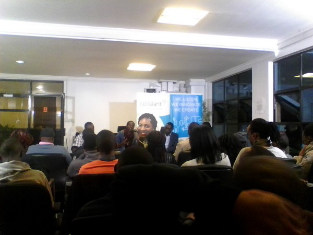 Currently, the office is based at Chandaria Business Innovation Center at Kenyatta University Main Campus. 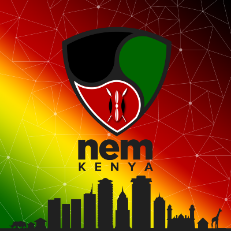 With Interest from other blockchain enthusiast and partners like Cellulant and Moringa, NEM 101 monthly events will be expanded around the country in major cities beginning with Mombasa and Kisumu with a focus on blockchain and its user cases. Anyone with a project that feels could be implemented on blockchain is welcomed and requested to seek help or visit www.nem.io to find more information.